Unbelievable Oceanfront 3BR Remodeled Condo, Better Than Pictures!!! Spectacular ocean front, 1750 square feet, 3BR, 2 bath modern condominium. When you walk in be prepared to be wowed. Living room, master bedroom and dining area feature direct, ocean front, white water views. Samsung 65' curved 4K television, Klipsch sound system, Sony dvd player and Apple TV with wifi keeps you busy when not enjoying the ocean view. Outside is a newly constructed lani with large outdoor seating area with new Sunbrella furniture. The fully equipped, beautiful, updated kitchen includes brand new stainless steel appliances including a wine fridge and new Kitchenaid outdoor natural gas grill, with views of the water that make preparing meals a breeze. There is a second bedroom and a complete office, wifi included, if you can manage to get some work done with the ocean so close to you! Just in case you feel like doing laundry Brand new Electrolux washer and dryer are included. Parking is a breeze with 2 underground, gated parking spots and 4 guest spots shared by 7 units. Biweekly cleaning can be arranged if needed. Call if you have any questions. Hope to see you soon. Our family thoroughly enjoyed our stay at the Walson’s beach home. We especially appreciated the home décor and furnishings and the views of the ocean were incredible! Also you are steps away from the beach walkway and the San Clemente pier. Melinda and Forrest made sure that we had everything we needed to make our stay more enjoyable. We would definitely recommend their home for your next vacation. Breathtaking view with privacy and spacious floor plan. We spent two months in this beautiful condo and it felt like home. Kitchen and bedding were great! 15 minute walk to downtown San Clemente. 10 minute walk to SC pier, a steep climb back...but worth every step! Private parking was so convenient. Forrest and Melinda greeted us when we arrived and bid us farewell 2 months later. They are warm and friendly, and responded immediately to our requests. The best VRBO hosts we've encountered! We loved our stay, and if you're looking to rent in the San Clemente, Dana Point, or Laguna Beach area, don't look any further, book this property now!!! 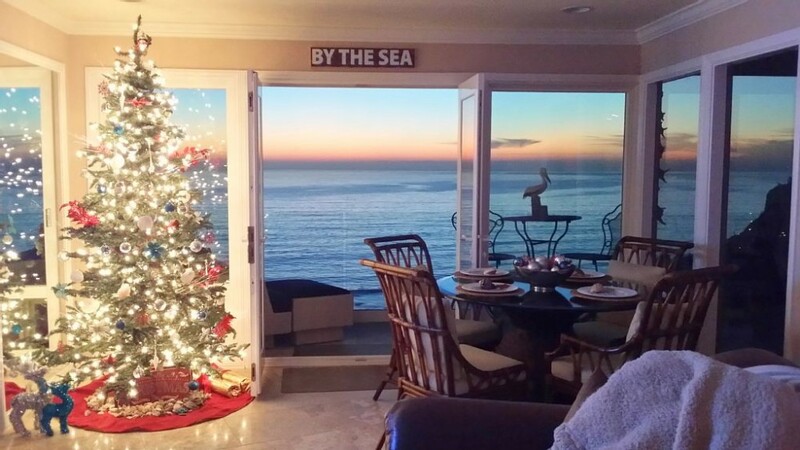 Ocean front property in San Clemente. My family and I spent the month of October 2015 in the condo. It was a great experience. The home is equipped with everything you could possibly need. The view is beyond belief and the condo is in excellent condition. Our family of 3 stayed at this property for three months. While the pictures showcase the beautiful ocean front setting and the lavish furnishings, seeing it in person left us breathless. Let's start with the owners: they are extremely nice and very down to earth. The furnishings are very high end and modern. The kitchen is stacked with everything you need and the granite counter tops are so beautiful. The master bedroom belongs in an ocean front five star resort. The mattress was a high end tempurpedic and very comfortable. The master bath shower has a view of the ocean and there is a jacuzzi tub. The entire place is tiled and offers a light, fresh and modern color scheme. There is some very beautiful pieces of art throughout the place. Our parents visited us for a week and loved staying in the guest bedroom. We have rented several other properties in Orange County and we are comfortable saying that the guest bedroom is nicer than any other master bedrooms we have stayed in. Clearly this is the best property we have rented in Orange County and we hope to be back very soon. There is also a third bedroom that is also an office. While the place is amazing inside, the view from the glass balcony will leave you BREATHLESS. There is very comfortable high end modern chairs and a couch on the baloney. The sound of the waves is hypnotic and tranquil. We saw dolphins on most days. We also saw some migrating whales. There was a unit above us but we never heard them, or never heard any other neighbors. In general, it's a very private place. The sunsets can be seen from almost every room in the place and are spectacular. Parking was private and fairly easy to get in and out of. While writing this review, we were thinking of any negatives and we simply were not able to think of any as they just don't exist. The small exception was the internet reception on the patio got weaker since that is the farthest location away from the router but when you're out there, you will not want to be on the internet with the breathtaking view in front of you. Renting this unit was slightly above our budget but in the end we felt that we got a pricelessbargain since the experience was so truly great and memorable. This place will truly relax you and inspire you and leave you feeling blessed. We will eagerly await and dream of our return here.